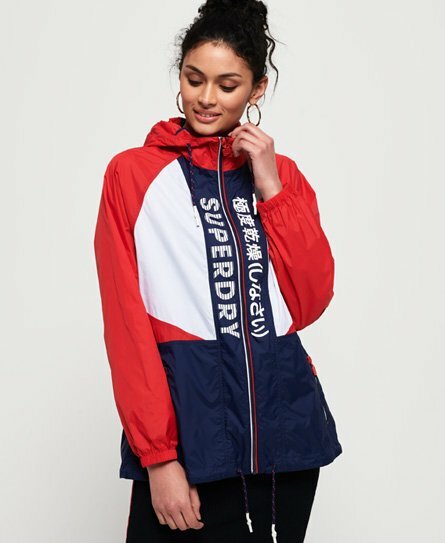 Superdry women's Spliced SD-Windbreaker. This lightweight jacket features a drawstring adjustable hood and hem, single layer zip fastening and two zipped front pockets. The jacket is completed with a logo design down the front and on the reverse above the hem.